On average, two-thirds of total online sales come from mobile devices. And now, an increasing number of consumers are turning toward “m-commerce” over time. 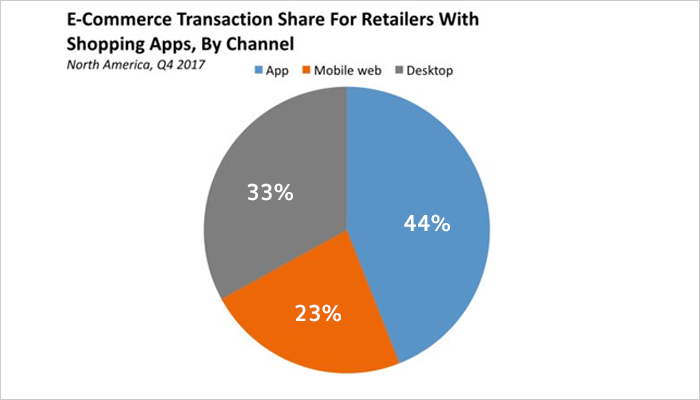 As Marketing Land reports, “retailers that have both mobile sites and apps are seeing, on average, two-thirds of their online sales coming from mobile devices.” Furthermore, mobile clicks preceded 26 percent of all desktop transactions. This indicates that even if shoppers don’t complete an entire transaction on mobile, it’s still an integral part of the buying process. Long story short, mobile readiness is absolutely key for e-commerce websites in 2019 and beyond. Here’s more about the rise of m-commerce and what it means for today’s online retailers. If your mobile browser is little more than a smaller version of your desktop website, customers will struggle to get what they need from it. Put yourself in mobile visitors’ shoes: Trying to read text, scroll, tap on links and fill out fields on a smartphone is frustrating, to say the least. This underscores the importance of designing for mobile specifically, with user-friendly user experience (UX) design that takes into account the smaller screen size and different methods of navigating. Designing for mobile browser UX requires understanding exactly how people use their mobile devices. How do they tap, scroll and navigate between landing pages? How do their eyes move across the screen and perceive various elements? The only way you’ll get the best mileage possible out of your mobile browser is by designing it for the devices it will display upon; not treating it as a secondary desktop experience. Your mobile browser UX (User Experience) will inevitably depend upon the platform you use. What is an e-commerce platform that’s optimized for mobile Web browsing? Shopify offers a variety of mobile-friendly themes, to start. When you’re choosing a platform, it pays to consider whether or not it translates seamlessly to mobile and can offer fast loading times, etc.. Mobile browser websites are great for exactly that—browsing. Some consumers will use this method to check out, but dedicated e-commerce apps have higher conversion rates. As Business Insider reports, retailers’ apps earned 44 percent of all e-commerce transactions in the last quarter of 2017 for merchants with shopping apps. This means apps beat out the mobile Web at 23 percent and desktop at 33 percent of all sales. Mobile apps tend to have higher conversion rates for a number of reasons. First of all, customers who download and use apps tend to be more loyal and familiar with a store compared to someone who’s browsing on the mobile web. App users benefit from the convenience of storing personal and payment information, as well as saving preferences. Now that we have discussed the importance of the user experience for mobile browsers we know how to boost conversations with e-commerce mobile apps. In addition to this, mobile apps also allow retailers to create a completely branded experience in look and feel, which is another advantage in today’s competitive marketplace. 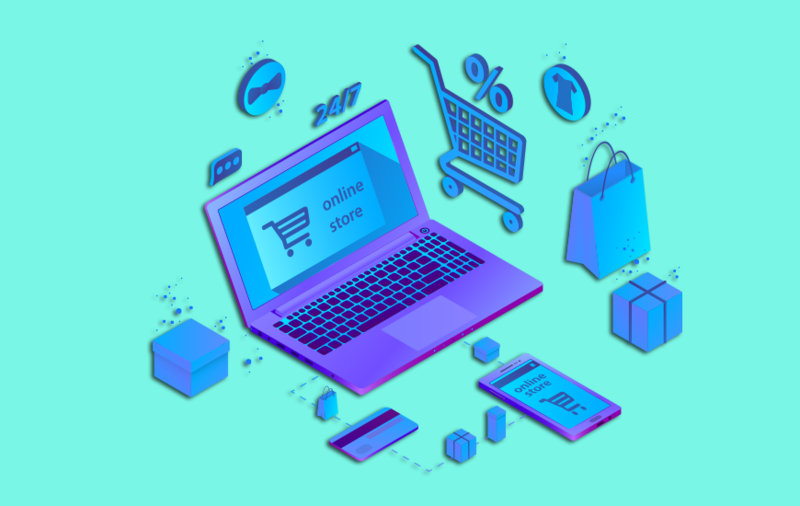 So far, one thing is clear: Mobile readiness is key for e-commerce websites in 2019 and beyond as more people use smartphones and tablets to shop, buy and connect with brands. And in case you are interested in reading more articles related to the mobile app industry then make sure you are following MobileAppDaily. To never miss another trending tech update, just click on the ‘Subscribe’ button.